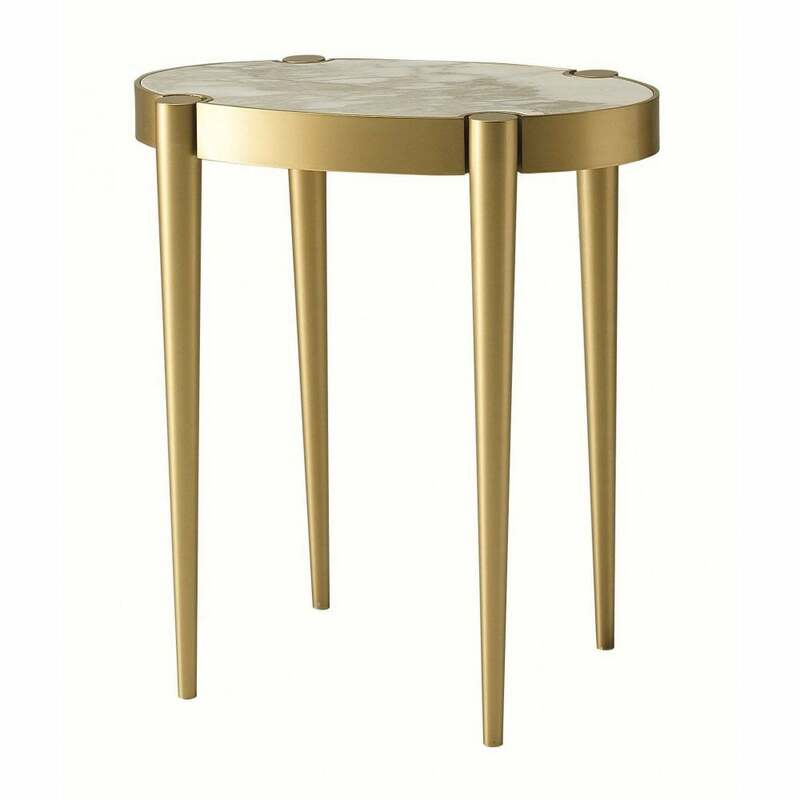 The Victoria Side Table by Daytona will bring a touch of Italian glamour to your home interior. Hand-sculpted by master craftsmen in the heart of Italy, the side table features a round table top of exquisite marble. A popular material used in the art deco period, the Daytona range takes inspiration from this era of design. Complemented by a burnished brass structure, place the side table next to a luxuriously soft sofa such as the Radetzsky. Use to display books, flowers and trinkets. The table top can be realised in either marble or glass. Choose from four beautiful options - Calacatta Oro, Emperador Marble, Bronze or Smoked Glass. The frame is also available in titanium. Create a bespoke side table to suit your interior scheme. Make an enquiry for more information. Priced for Brass Structure, Glass Top, Burnished Brass Finish.